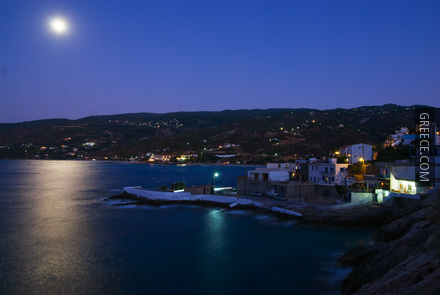 The island of Ikaria is part of the northeastern Aegean Islands. 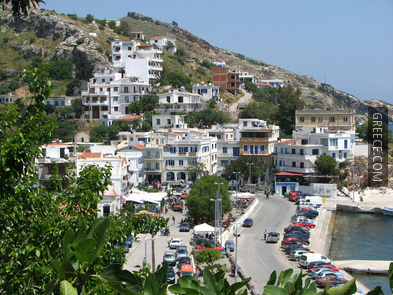 With a surface area of about 660km² Ikaria is inhabited by approximately 7,000 people. Its landscape is a contrast between verdant slopes and barren steep rocks. 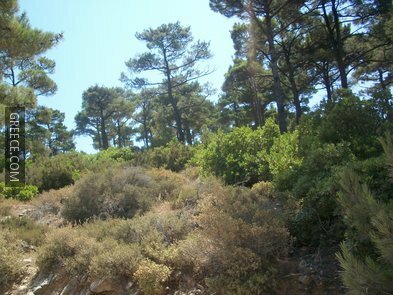 It is a rocky, mountainous island, traditionally producing strong red wine; many parts are covered by large bushes, especially ravines, making the landscape lush with green. Most of its villages are situated in the plains near the coast with only some of them on the mountains. The island is famous for its wonderful beaches and, especially, for its therapeutic springs, which are believed to be the most potent in Europe. 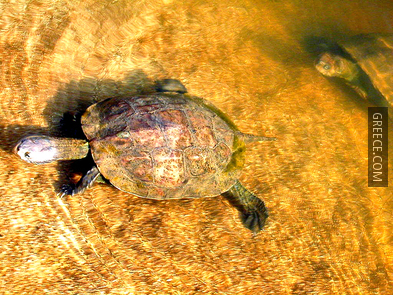 The island, despite its popularity since antiquity because of the springs, is still quite untouched by tourism. 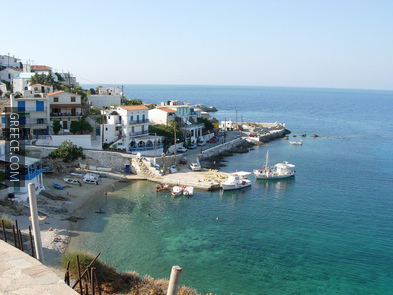 Ikaria was named after Icarus, son of mythical Daelalus, who was a highly respected and talented Athenian artisan. When Daedalus was placed in the service of king Minos of Crete, he was told to build the famous Labyrinth, in order to imprison the dreaded Minotaur – a half-bull, half-human monster. The heroic king of Athens Theseus volunteered to kill the Minotaur which was fed on humans. When Theseus arrived to Crete, Ariadne, Minos' daughter, fell in love with him. After learning the secret of the labyrinth from Daedalus, she, in turn, advised Theseus, thus enabling him to kill the Minotaur and escape the Labyrinth. When Minos found out what had happened, he imprisoned Daedalus and his son Icarus in the Labyrinth. In an attempt to escape, Daedalus built wings made of feathers and wax. Before the two set off, he warned his son not to fly too low lest his wings touch the water and get wet, neither too high lest the sun melt the wax. But young Icarus, overwhelmed by the thrill of flying, flew too close to the sun. The wax melted and fell into the sea. His body was carried by the current to an island. Heracles found the body and buried it in a small rock promontory jutting out into the Aegean; the island and the sea around it were named after fallen Icarus. 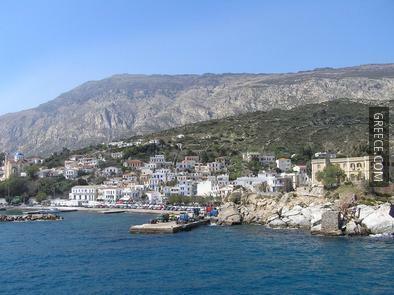 The island of Ikaria was inhabited since the 7th millennium B.C. After the Persian War, Ikaria became part of the Delian League and prospered until the Peloponnesian War started. Around 230 B.C., the island came under the control of Romans and was incorporated into the Roman province of Asia Minor along with Samos. At the end of the 5th century A.D., the island fell under the control of the Byzantine Empire. During the 14th century, the island became part of the Genoese Aegean Empire. It then passed under the rule of the Knights of Saint John who had already taken Rhodes; they ruled over Ikaria until 1521, when the island was conquered by the Ottomans. The inhabitants of the island participated in the Greek Revolution of 1821 and managed to liberate themselves in 1827. However, the Protocol of London in 1830 stated that the northeastern Aegean islands should remain under Turkish occupation. In the same year, though, Icarians rebelled against the Turkish officials and forced them to leave. The island became part of the new Greek State five months later and on 4 November 1912, Ikaria was officially liberated by the Greek Army and became part of Greece. 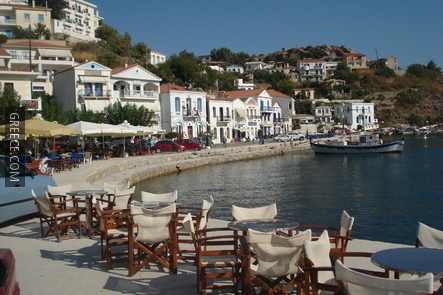 Agios Kirikos: This is the capital and the main port of the island. It is situated on the southeastern coast of the island and was founded three hundred years ago by local sailors. Most of the public services of the island are here. The village is lovely, full of two and three-storey neoclassical houses, flower filled areas, narrow paths, stone steps and amazing views. Few hotels and rooms to rent are available here. Evdilos: The settlement of Evdilos is built amphitheatrically around the second port of the island. 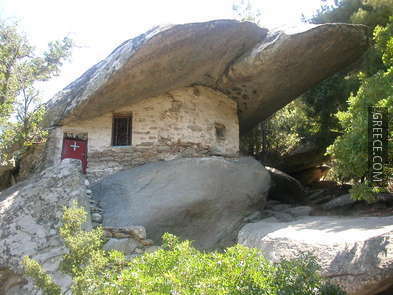 It is situated in the northern part of Ikaria, 40km northwest of Agios Kirikos. 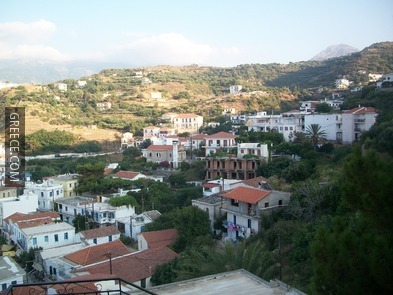 The village is considered the most traditional settlement of the island. It is built upon a small hill and has various types of houses (old neoclassical, modern, traditional). 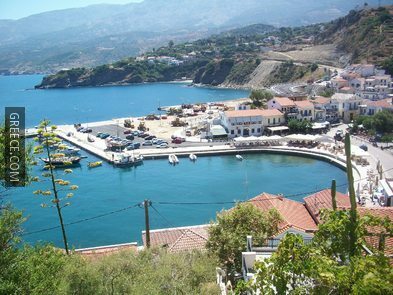 The lovely small port and the pier with the old mansions and narrow alleys, the paved steps and the many flowers form an architecturally interesting village which you must visit while in Ikaria. 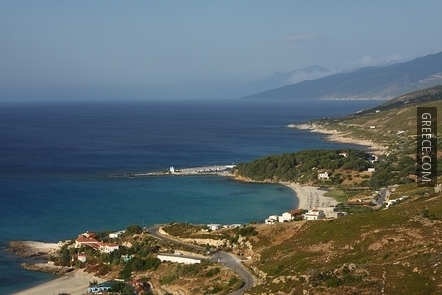 Armenistis: It is a very small coastal village with only 70 inhabitants. 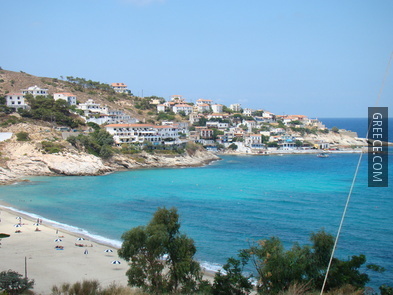 It is located in the northern part of the island west of Evdilos. The most picturesque part of the settlement is the harbor with its little boat jetty and the laid out nets. 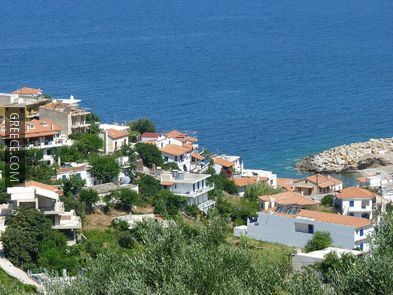 The village, during the past couple of years, has become a major tourist centre of Ikaria, as some of the most beautiful beaches of the island are in the surrounding area. 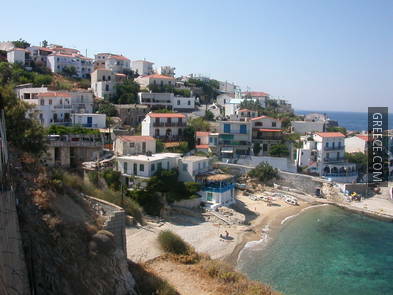 However, as the rest of the island, Armenistis remains an authentic, relaxed and lovely village. Christos Rachon: This mountainous village is located approximately 500 meters above sea level in the northern part of Ikaria. It is a very large village built amphitheatrically amidst pines, oaks, fruit bearing trees and vineyards. The excellently preserved houses retain the traditional colours of the settlement and reveal its unique architectural appearance. This village is also unique for another reason; especially during summer, it is very hard to find open shops in the morning. 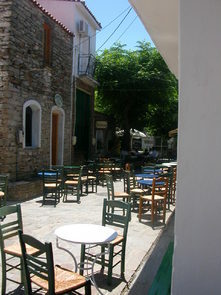 Ikarians are known for their relaxed way of life and especially in Rahes, no one seems to be in a hurry. The inhabitants spend their afternoons and evenings in the local cafes and don’t seem to care about regular opening hours. Evdilos Beach: There is a lovely beach just outside the village Evdilos. 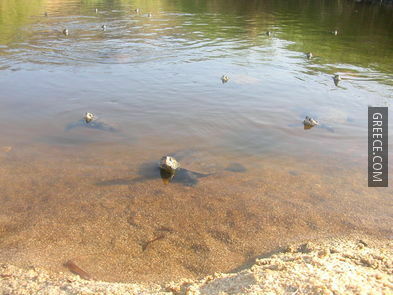 It is quiet and sandy with crystal clear waters and no tourist facilities. The surrounding landscape, composed of strange rock formations, adds to the beauty. 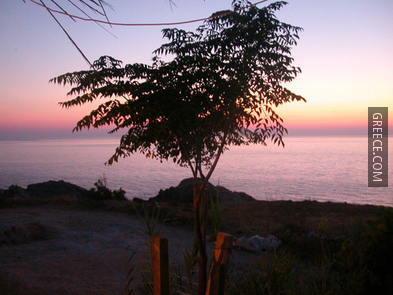 Kampos Beach: This beach is located in the village of Kampos, the ancient Ikarian capital of Oinoe. The beach is long and sandy with clear shallow waters and it is boarded by bamboo and other plants. The beach is organized but, due to its size, secluded. The nearby village with the same name is very nice and has many good restaurants, cafes and shops. Messakti Beach: It is a long beach situated near the beach of Livadi, northwest of Agios Kirikos, just outside the village of Armenistis. The sand is golden and soft; the waters are turquoise and clear. Two small rivers intersect the beach with small freshwater lagoons. The beach is organized with many sport facilities. Watch out for bees. 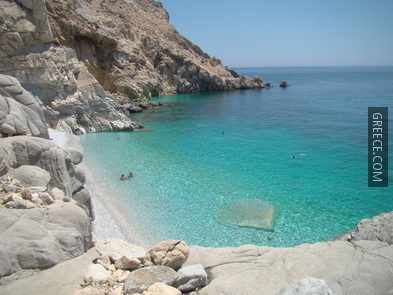 Nas beach: This beautiful sandy beach is located in a picturesque cove, about 6km west of Armenistis. 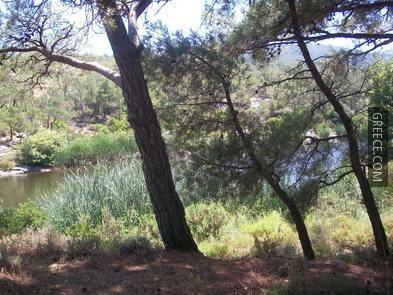 It is situated at the junction of a river and the Aegean, in an unusual landscape. 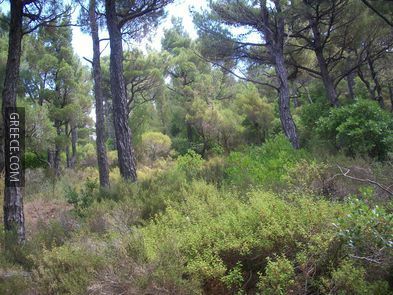 Dense forests with streams and waterfalls can be seen a few meters before the beach. Also the ruins of a temple dedicated to Artemis lie on one side of the beach. The beach is small and unorganized but on the top of the nearby cliffs, are many taverns and cafes with an excellent view of the sea and the sunsets. Be extra careful of the powerful underwater currents on this beach. Seychelles beach: This beach is one of the most beautiful on the island. 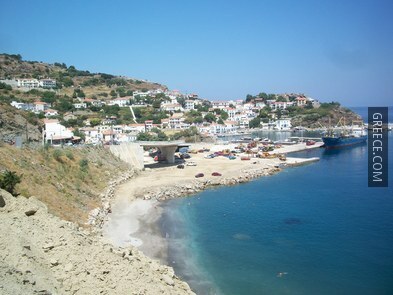 It is located in a picturesque and intimate cove, 25km southwest of Agios Kirikos. The beach has bright pebbles and rocks, emerald waters and is surrounded by impressive rock formations. Access to the beach is via a path on the main road. The path is not difficult but it is advised to wear sturdy shoes. 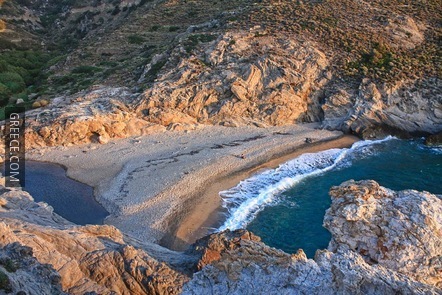 Prioni beach: This beach is located 1km east of Agios Kirikos on the coastal road to Therma. The place is a secluded natural sand and pebble cove with high cliffs and rocks. The beach is unorganized and access is either via a steep path at the top of the beach, or via a path that leads down from a small church situated just off the road and then east along the rocks over the coast. 1. 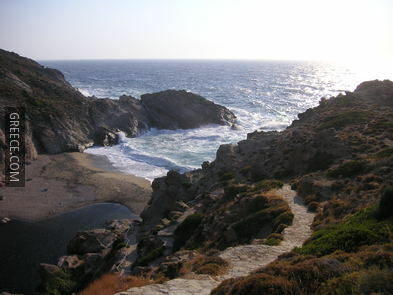 The Archaeological Museums: The island of Ikaria has two Archaeological Museums. The first one, the Archaeological Museum of Agios Kirikos, is located in the capital of the island and contains over 200 items dating to the Classical Period. Items include column fragments, well preserved amphorae, clay vessels, tools, weapons and many more. The second one, the Archaeological Museum of Kampos, is situated in the Kampos Village on a hill which was the ancient citadel of Oinoe. The museum contains over 250 finds, including Neolithic tools, pottery vessels, clay statuettes, columns, coins and carved headstones. 2. The Temple of Artemis – Nas: The Temple of Artemis at Nas was built by Ikarians in the 6th century B.C. to honor mother goddess Artemis, patroness of sailors and protector of hunters and wild animals. 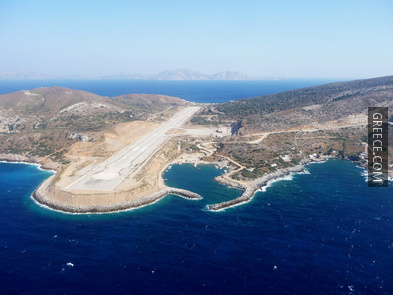 Nas was probably the first settled area of the island and throughout antiquity its safe anchorage was an important staging point for sea traffic to Asia Minor. 3. The Drakano Fortress: This is one of the best preserved examples of Athenian military watchtowers from the Hellenistic period. It is situated on the northeastern tip of the island, near the village of Faros. It was built during the time of Alexander the Great, around the 4th century B.C. and served as an observation point of the Aegean sailing traffic between Ikaria and Samos. The tower was damaged by Greek naval forces in 1827. 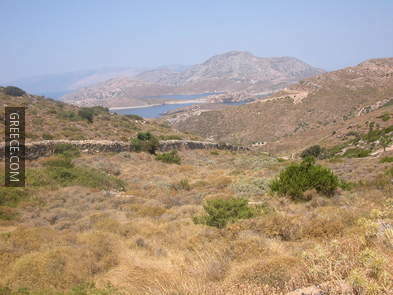 Access to the fortress is via a dirt road from the village of Faros. 4. The Byzantine Odeon of Ancient Oenoe: The Byzantine Odeon which is situated in the village of Kambos, was built in the first century A.D. and served as a central meeting place and forum for musical and theatrical events. It was the Odeon of the ancient capital Oenoe which was a prosperous city known throughout the ancient world for its viticulture. 5. The Thermal Springs of Therma and Agios Kirikos: The island of Ikaria was famous for its natural thermal springs since ancient times. 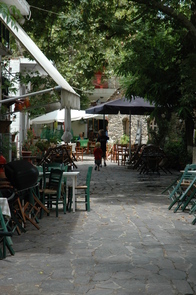 Nowadays in the village of Agios Kirikos, the hot spring of Asclepious can be found near the central square. 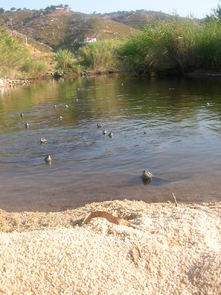 Asclepious Spring emerges from the sea and you may swim near it to take advantage of its properties without having to take a traditional bath. The other springs of the island are located in the village Therma and they are also famous for their ability to cure various diseases such as arthritis, nervous exhaustion and many gynecological diseases. Air: During summer there are daily flights from/to Athens. 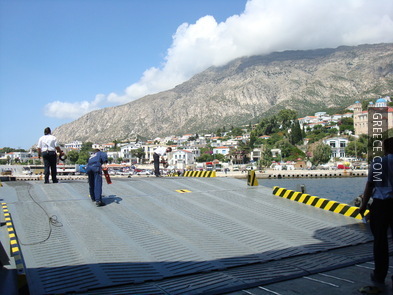 Ferry: Ikaria is connected to Piraeus, Syros, Mykonos, Samos, Fournoi, Mitilini, Chios, Limnos, Thessaloniki and Kavala, with several services per week. Bus: There is a rumor that the island actually has bus services. People that have seen them are considered lucky. Supposedly, there is a service between Evdilos and Agios Kirikos that leaves at 8am daily (from Evdilos) and return around noon. However it’s best not to count on this. 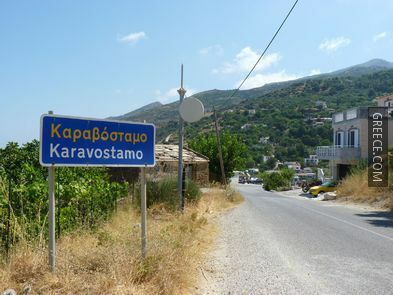 Buses to the villages of Rahes, Xylosyrtis and Hrysostomos from Agios Kirikos are more elusive and depend mainly on the whims of the drivers. So, if you want to see the island in the best way, other than with your own vehicle, you should hitchhike. Locals are used to it –unlike in most places in Greece– and they will stop to take you in. 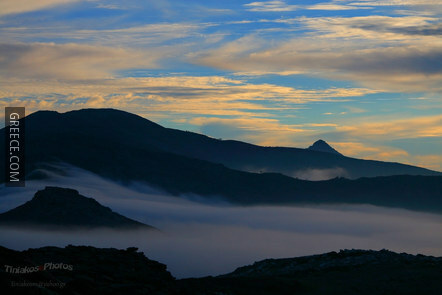 The island of Ikaria has the same typical Mediterranean climate as other islands of the northeastern Aegean. Strong north and northwest winds blow throughout the year dropping temperatures under 29 degrees Celsius.